The Abney family’s ownership of the Manor of Willesley lasted from 1424 until the death of Thomas Abney in 1791 when it transferred to the Abney-Hastings for whom the Coat of Arms was created in 1806. Many family members are buried in the adjacent Church of St. Thomas, or the Church of St. Mary de Castro in Leicester. A house existed on the site for over 500 years until the hall was demolished in 1953. Throughout its history it was enlarged and improved. The most significant building works were undertaken by James Abney, who served as High Sheriff of Derbyshire (in which for many years Willesley was situated before local government boundary changes). The house was further enlarged by Sir Edward Abney early in the 18th Century and later in the same century the park was laid out and a 24 acre lake was created submerging, it is thought, the village of Willesley. Sir Edward Abney was appointed a judge in the court of King’s Bench and subsequently elected as MP for Leicester in 1690. He inhereted Willesley Hall from his father in 1693 and died there aged 96 in 1728, having been blind for the last 20 years of his life. Subsequent substantial work was undertaken by the then new owner, Sir Charles Edward Abney Hastings in 1840 to 1845 whose father, General Sir Charles, had married the last surviving Abney, Parnell. The General’s body is buried under the oak tree adjacent to the little Church, and his wife, Parnell is buried in the family vault. They were, of course, parents to Captain Frank Abney-Hastings. 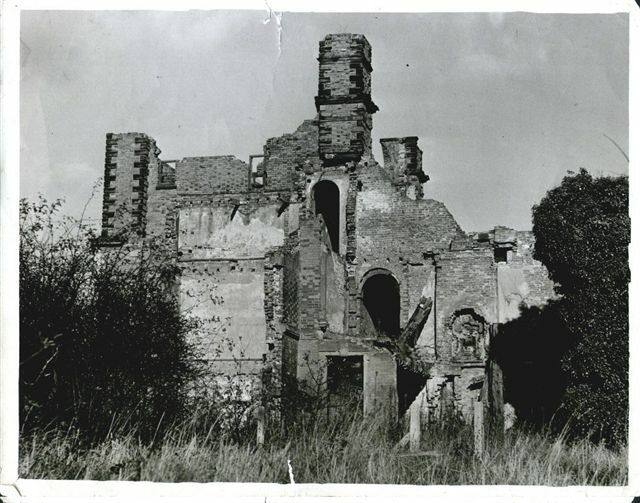 All that remains of Willesley Hall is the church and the former grand entrance to the stable block which gives an idea of the grandeur of the house itself. The site is now owned and occupied by the Ashby and Coalville District Scouts. The house was so well constructed that seven attempts were made to blow it up in 1953. 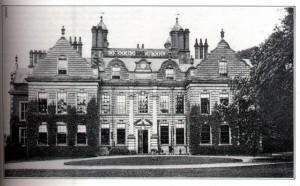 All the letters in Letters to My Father were sent to James Abney at Willesley Hall. My father was Vicar of Willesley Church in the 1950s and I woul lvery much like to know if I could visit it. Thanks for giving me a chance to learn a little about my family. Many thanks foryour contact. A lady called Mary at Measham Museum has written a booklet about the Abney side of the family which you may fing of interest. Her e-mail is maryb291941@aim.com .